Delegates can practise their appraisal skills in a risk-free environment. The Appraisal Game defines 'appraisal', challenges assumptions, establishes basic principles and practices, and puts them to the test. Great introduction. First it defines appraisal. Second it establishes basic principles and practices. Third it involves all participants in a simulated appraisal session. Teams begin with a questionnaire that challenges assumptions and misconceptions and clarifies what a good appraisal is all about. Next, they study and present to the other teams different aspects of appraisal: the benefits, the fears and objections, the forms and the interview itself. Thirdly teams are given clearly defined briefs in preparation for simulated appraisal interviews (as the roles are very clearly defined, this is not strictly role-play). Other members of the team act as observers, supplying feedback to appraiser and appraisee for general discussion. Highly interactive. Thoroughly enjoyed by participants. Full guidance provided in the Trainer’s Notes. Fun, interactive, thought-provoking - I used 'The Appraisal Game' in teamwork, training & building with Contact Centre Team Managers. One Team Manager began to realise that her style was quite aggressive and it allowed others to say so in a non-confrontational way. We are now using this activity with all of our CL Advisors on their 'Have Your Say Day'. 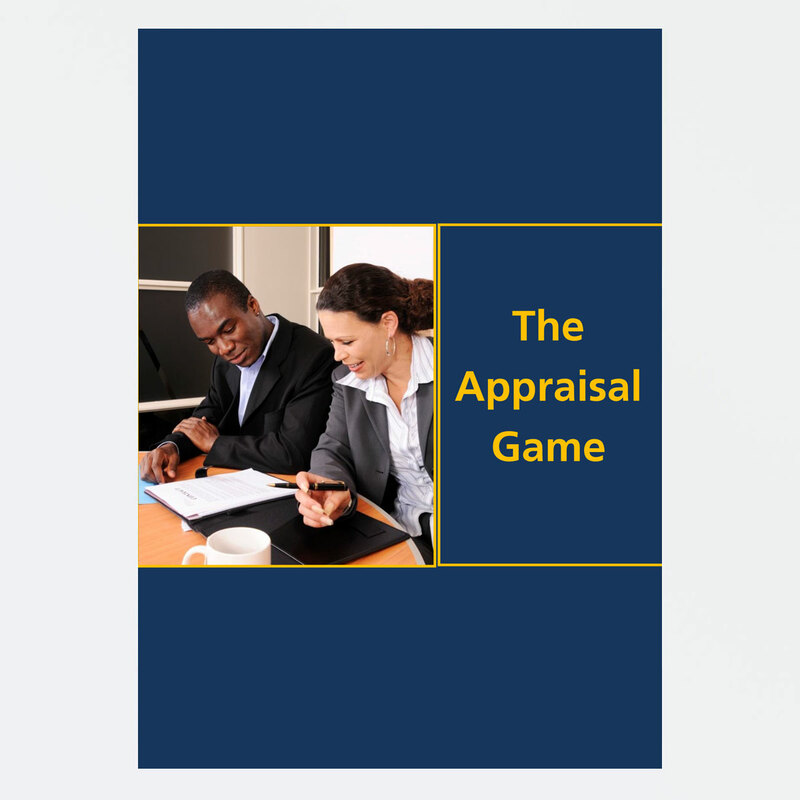 My overall impression about 'The Appraisal Game' is that it is brilliant! I used it with supervisors and middle managers, who are expected to carry out “supervision” sessions with their staff. It helped participants understand what appraisal is about and how to properly run an appraisal. What makes it brilliant for me is that it can be used flexibly and different parts can be combined depending on what trainees need. Also, it fits beautifully with other development training such as feedback, assertiveness and reaching agreement. This is the best training activity about appraisals that I’ve seen. I used 'The Appraisal Game' in training sessions with staff in groups of 10, where the objective was to understand the purpose and process of an appraisal, and to practise holding an appraisal interview. The learning outcomes were that the experience should be 'positive'; realisation that it is a two-way process; and that preparation is absolutely essential. One role play was so bad that it highlighted all the things not to do! One was excellent. The group being active the whole time went down well – they enjoyed it and didn’t get bored. All learnt from each other. It actually helped the managers with their own team building! 'The Appraisal Game' is a good training exercise - participants felt they had learned a lot and have produced some good appraisals.